With St Patrick’s Day less than a week away – and to join in with the Reading Ireland Month being hosted by Cathy and Niall – I thought I would devote this month’s post to a discussion of historical fiction set in Ireland. The first books to come to mind when I think of Irish historical fiction are two very big novels by Edward Rutherfurd – Dublin and Ireland: Awakening (published in the US as The Princes of Ireland and Rebels of Ireland), two books taking us through the entire history of Ireland from the year 430 to the 20th century. I read these books years ago and they gave me an excellent overview of Irish history. Another novel set in the distant past – and fitting perfectly into the St Patrick’s Day theme – is Joan Lesley Hamilton’s The Lion and the Cross, a novel about the life of Patrick himself. I love a good family saga and I can think of two set in Ireland. The first is Hungry Hill by Daphne du Maurier; although the name of the country in which it is set is never actually named, it’s obviously supposed to be Ireland. The second is Cashelmara, one of several novels written by Susan Howatch which I read a long time ago and remember loving. The story is set in 19th century Ireland, but the lives of the characters cleverly mirror the lives of several Plantagenet kings. This – along with Howatch’s Penmarric and The Wheel of Fortune – is on my list for a re-read. 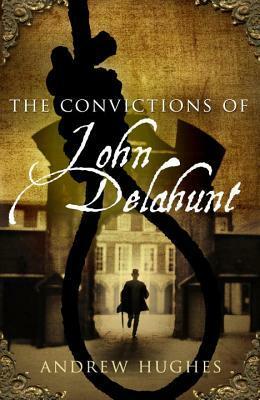 Staying in the 19th century, why not try The Convictions of John Delahunt by Andrew Hughes, a dark and atmospheric historical crime novel about a young student at Dublin’s Trinity College who comes up with a very dubious solution to his money problems. I am currently reading Hughes’ second novel, The Coroner’s Daughter, which is also set in Dublin and, so far, is a great book too. I can also highly recommend The True and Splendid History of the Harristown Sisters by Michelle Lovric, only partly set in Ireland but featuring a wonderful set of Irish characters. And you may have seen my review last week of The Good People by Hannah Kent. Moving forward into the early decades of the 20th century, there’s The Secret Scripture by Irish author Sebastian Barry. Like all of Barry’s novels, it’s worth reading for the beautiful writing alone. Of the other books of his that I’ve read, On Canaan’s Side and The Temporary Gentleman are set partly, but not entirely, in Ireland. 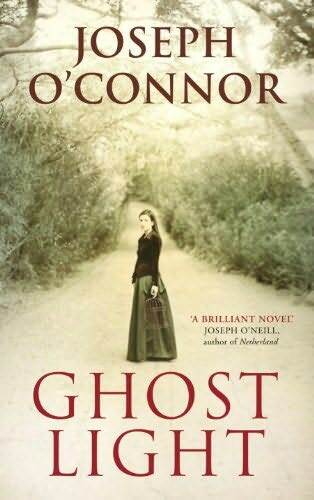 There’s also Ghost Light by Joseph O’Connor, a novel written in the second person (which is quite unusual) and telling the story of the actress Molly Allgood and her relationship with the playwright John Millington Synge. Another Irish author whose books I enjoy is John Boyne, but most of his are not actually set in Ireland. However, The Heart’s Invisible Furies, which I’ve recently read but haven’t reviewed yet, takes place in Ireland as well as in several other locations around the world, and spans several decades from the 1940s to the present day. Finally, I want to mention The Herbalist by Niamh Boyce, in which a mysterious stranger arrives in a small town in 1930s Ireland – and also Colm Tóibín’s Brooklyn, which gives some insights into the life of a young Irish immigrant in 1950s America. Have you read any of these books? Can you recommend any more historical fiction set in Ireland? If not, I hope I’ve given you some ideas for future reading here! Thanks, as I had completely forgotten about Susan Howatch but I might re-read some of her books sometime. I’ve been meaning to re-read my old Susan Howatch books for years. I remember really enjoying them. Sounds like a good list. I’ve read Hungry Hill, On Canaan’s Side (not much of it set in Ireland), and Brooklyn. Another couple Toibins set entirely in Ireland: The Empty Family (short stories) and Nora Webster. I borrowed Nora Webster from the library a while ago but didn’t have time to read it and took it back unread. I should probably try again. I think you’ll like it. Set in the 60’s. Thanks for the recommendations. I have both The Princes of Ireland and The Rebels of Ireland on my TBR. I read a good amount of The Princes of Ireland years ago, but got discouraged due to the length of the book. Yes, Edward Rutherfurd’s books can be daunting because they are all so long. I really enjoyed his two Ireland books, though, and I think they were worth the time and effort. BTW, I just posted my review of Minds of Winter, one of the novels long-listed for the Walter Scott Prize. Visit me if you are interested in knowing about it further. I’ve been curious about Minds of Winter, so I’ll come across and read your review. Thanks! This is a great list! Have you hear of the The Wonder, by Emma Donoghue? It’s set in the 19th century and concerns a nurse who goes to a small Irish town to investigate the ‘miracle’ of a young girl who has stopped eating. Yes, I’ve heard about The Wonder but I haven’t read it yet. I probably should, as I enjoyed the other Emma Donoghue books I’ve read (Room and Frog Music). Great list! I really fancy those Edward Rutherfords… sometime! And I second the recommendation for Nora Webster – I felt it, The Blackwater Lightship and Brooklyn formed a loose trilogy showing how life changed for women in small town Ireland across the second half of the 20th century. I love Edward Rutherfurd’s books but the length of them can be a bit off-putting! I must try something else by Colm Toibin soon – I really enjoyed Brooklyn but still haven’t got round to any of his others. I’ve read some of the books you’ve listed including Cashelmara, which I also read many years ago and loved – I really must read her books again. I’ve also read Nora Webster and Brooklyn, both very moving books. The Gathering by Anne Enright is on my list of books set in Ireland for the Reading Ireland Month. Another book I’ve loved set in Ireland is Molly Fox’s Birthday by Deirdre Madden. I haven’t read any of these, but had the Rutherford novels in mind (and am glad to hear that they are good and not simply “useful” and informative!) and have the idea that I would enjoy both Howatch and Toibin, having collected a few but not having read any (yet). Another name for historical fiction is Morgan Llywelyn (American born-Irish writer): I’ve heard that her Lion of Ireland is exceptionally good (as well as 1916 and Druids). I’m trying a Kate O’Brien for this month’s reading, along with a children’s book called The Bookshop on the Quay, by Patricia Lynch, a sweet story so far, but I’m only a few chapters into it. 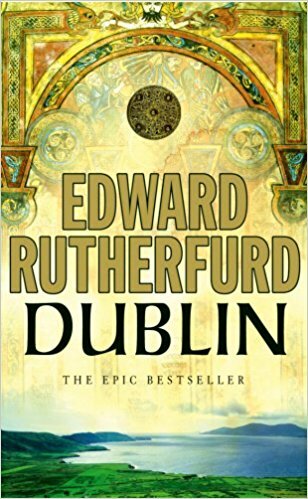 I’ve enjoyed all of Rutherfurd’s novels and the two Irish ones are among my favourites. They are educational but entertaining at the same time. I’ve heard of Morgan Llywelyn but know nothing about her books, so thanks for the suggestion! I have been rereading Edna O’Brien’s Country Girls trilogy, written and published in the 1960s which makes them historical today. I do intend to read Emma Donoghue’s The Wonder. Anne Enright writes more in the present time but her family stories go back to the past: The Gathering, The Forgotten Waltz, and The Green Road are all dark but so Irish and great. I’ve never read the Country Girls trilogy (or anything else by Edna O’Brien). I hope you’re enjoying your reread. I’ll have to try something by Anne Enright soon too! What a great post, Helen – so many excellent books! I hadn’t heard of Hungry Hill so that’s one I must seek out. I’ve often come close to reading Rutherford and something always seems to get in the way. (A shorter book probably!) I think Colm Toibin is a wonderful writer – along with another contemporary Irish writer yet not mentioned in your post or the comments: David Park. I read his “The Poet’s Wives” and thought him easily equal to Toibin. One day I’ll read more of his work though I don’t know how much of his work is actually set in or concerned with Ireland in the way that Toibin’s frequently is. Hungry Hill is not one of du Maurier’s better books, but it’s definitely worth reading – although I do remember it being quite depressing. I’m not familiar with David Park’s books but I’ve just looked up The Poet’s Wives and it sounds intriguing…thank you!